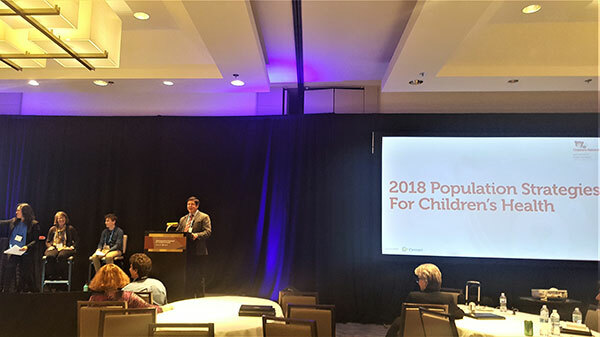 With sponsorship from Cerner Corporation, Children’s National held the first Population Strategies for Children’s Health (PSCH) event on February 19 – 20, 2018 at The Westin City Center in Washington, D.C. Speakers and attendees gathered from around the country to discuss pediatric population health and the transition to value based care. PSCH opened with an insightful presentation from Ellen-Marie Whelan Ph.D., CRNP, FAAN, chief population health officer at the CMS Center for Medicaid and CHIP Services. Her presentation, “Medicaid Transformation to Value Based Care,” explored an incentivized health care delivery system reform that will result in better care, smarter spending and healthier people. 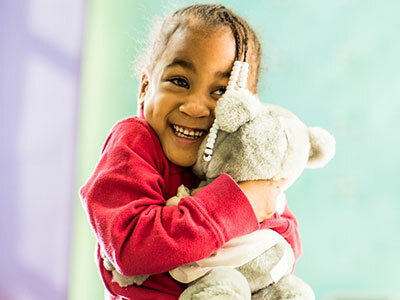 Sean Gleeson, M.D., M.B.A., president of Partners for Kids at Nationwide Children’s Hospital, spoke about the mechanics of Partners for Kids and the population health strategies they choose to implement. These strategies require an entire enterprise to be engaged and they must be an intentional component of each healthcare organization. Dr. Gleeson put it simply that population health turns healthcare “right side up” by tying financial incentives to positive value outcomes versus upside down when health organizations make more money when kids are sicker. A presentation from William Feaster, M.D., M.B.A., chief medical information officer at CHOC Children’s Hospital, and Brian Jacobs, M.D., vice president, chief medical information officer and chief information officer at Children’s National Health System, delved into implementing condition-specific pediatric registries. They highlighted that it’s necessary to integrate registries and workflows into the daily work of clinicians and make them actionable to encourage engagement. 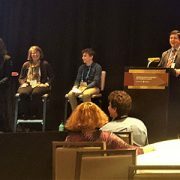 Another highlight of the conference was the millennial panel “The Current and Future State of Health Care from a Consumer’s Perspective.” The panel consisted of Janice Bitetti, a physician and mother of a 10-year-old with Type 1 diabetes; Jonathan Morris, a 15-year-old Type 1 Diabetes patient at Children’s National; and moderator Emily Webber, M.D., FAAP, chief medical information officer at Riley Children’s Hospital. Panel participants shared their take on the current state of Type 1 diabetes care, and the way millennials interact with healthcare. Both Jonathan and Janice agreed that the intensive nature of Type 1 diabetes care puts many families who don’t have the time, resources and initiative that they do in a very difficult place. Other speakers throughout the two day event explored topics including population health strategies to reduce child health disparities, the role of telehealth in population health, care coordination and coaching to health, and technology in population health. Brian Jacobs, M.D. introduces the Millennial Panel at the Population Strategies for Children’s Health Summit. 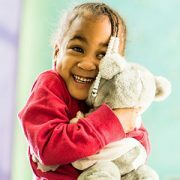 Children’s National, with sponsorship from Cerner Corporation, is excited to announce the first Population Strategies for Children’s Health Summit on February 19 – 20, 2018 at The Westin in Washington, D.C. This is the first summit focused exclusively on comprehensive population health management approaches that can help children reach their highest levels of health and potential. Join us in developing new ideas and best practices that engage millennial healthcare consumers and address challenges pediatric providers face in transitioning to value-based care. You’ll learn how population health management strategies can improve care quality for an entire pediatric population in a way that supports your health system’s bottom line. Health care is a dynamic, constantly evolving entity. This three-person panel plus moderator takes on the consumer point of view to discuss what is and isn’t working in health care today. The panel consists of a pediatrician and mom of a child with Type 1 diabetes and a 15-year-old Type 1 diabetes patient. They’ll share their experiences and thoughts about how they believe health care will progress in the future. For more information about the 2018 Population Strategies for Children’s Health Summit, please visit our website.